Albert Edward Anson first appeared on the stage in 1895; after earning a degree in engineering, he returned to the the stage and in 1904 joined Herbert Beerbohm Tree‘s company. After that he played many roles in Shakespeare’s plays, both in London and in New York. 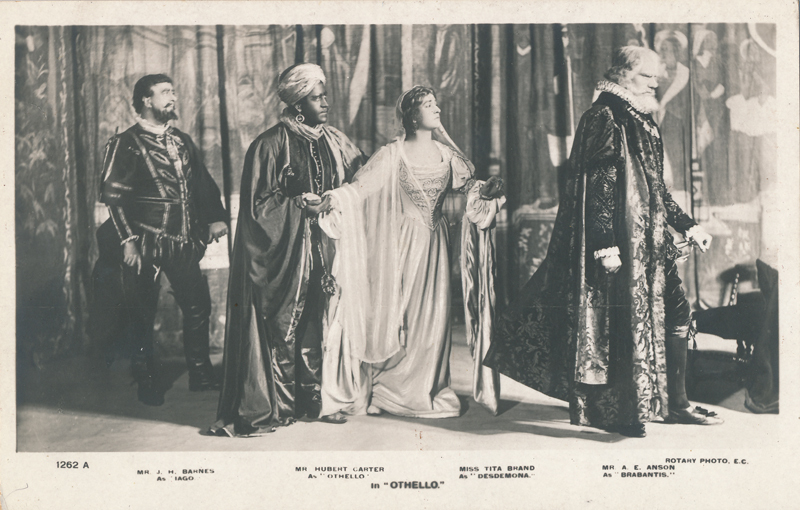 His first major part was Brabantio in Othello in 1905; he played in New York in 1909-11, taking the parts of Octavius Caesar in Antony & Cleopatra, Master Ford in The Merry Wives of Windsor, and Leontes in The Winter’s Tale. He moved back and forth between England and America and eventually played in motion pictures. He married twice, first to Deidre Boyle and then to Mary Mallison. He died in 1936.